Earle Rowell, author of "On The Trial of Marihuana, The Weed of Madness," considered a classic of the Reefer Madness Era.
. . . A normally sane and quiet young boy . . .
. . . somehow obtained and smoked some Reefers (Marihuana cigarettes) . . . .
. . . that night, he started hallucinating . . .
. . . he imagined that his parents were attacking and cutting him up . . .
. . . thus he grabbed an axe and killed his parents, two brothers and a sister in their sleep . . .
. . . the next day, he could remember nothing of what happened . . . etc. . . and thus PROOF that Medical Marihuana was responsible for untold cold-blooded murders, and bestial crimes. Looking back on it, it now seems incredible that the story could have held out for as long as it did (from the 1930’s up until the late 1960's) without being seriously challenged. Anyone doing even the most rudimentary research on the matter could have quickly noted the contradictions as well as the out and out falsehoods. However, it should be pointed out that back in the 1930’s the American people had an almost blind faith in their government. That whatever else, our very own Federal Government would never lie to the American people. This blind faith in government seems to have lasted right on up until the Vietnam War, when it became obvious to just about everyone that this (if it ever was), was no longer the case. In addition (and here we are not defending Anslinger, but simply pointing out the facts), that until the early part of 1936, the Bureau relied mostly on newspaper reports as their main source of information. It was only AFTER 1936 (when the first challenges to the Gore File came), that the Bureau started ACTUALLY checking up on its facts. Small wonder then that most of the more bestial Gore File cases (as well as many of the fabricated cases) made their way into the file before 1936 and relatively few thereafter. QUESTION: How did this Mug Shot come to be so widely viewed? 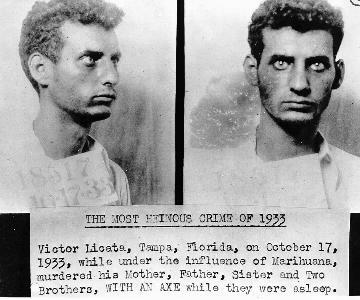 I am to-day mailing you under separate cover enlarged photo of one Victor Licarta (sic) of Tampa, Florida, who on October 17th 1933 under the influence of marihuana murdered his family. Have recently read where you are interested in having marihuana placed under federal law, and thought perhaps that you might be interested in this picture. 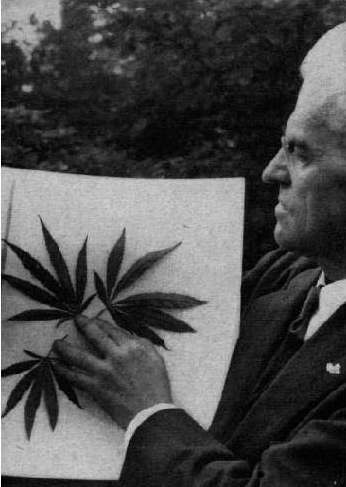 Harry Anslinger kept the picture in his files as part of his gore file. And upon retirement he then donated it (along with large numbers of his personal papers) to Pen-State University. There it was located by researchers, photocopied and made widely available. Which is a good thing as it contained his Arrest ID number, which in turn allowed us to locate much of the paperwork that we have on him. “VICTOR LICATA, aged nineteen, sat sobbing. He was in jail in Tampa, Florida, his home town; and, although he had been there half a day, his parents had not been near him. He wondered why they had forgotten or were neglecting him. This was why he was crying. He didn't know that his mother and father were dead; that his two brothers and his sister were also dead; in fact, that his whole family, except a brother away at the university, had been killed. He knew they were alive the day before; he had been with them then. No, he didn't know they were dead. And, what is more, he didn't know he was the one who had killed them! He didn't remember that in the middle of the night he had arisen, taken an axe, and hacked his mother, father, two brothers, and sister to pieces while they slept. He didn't know any of this; but the police did - all of it. What the police did not know was why he had killed his family. As they questioned him, he was bewildered, confused, and even surprised that his folks were dead, and astounded when told that he had killed them. After the police had told the boy why he was in jail, he told them what he could remember of what happened prior to his killing five members of his family. It was an incoherent story. He had spent most of the night, so he said, trying to prevent someone from cutting off his arms and legs. Under patient questioning the story was eventually pieced together. Victor had smoked some marihuana cigarettes that afternoon. After going to bed that night, he suddenly thought, as nightmarish hallucinations raced through his mind, that his mother and father were plotting to cut off his arms and legs as soon as they got up in the morning. This horrible obsession fixed itself in his mind; and so real was this imagined threat to him that he decided the only thing to do was to kill them first, while they slept. On our tour of the states we arrived in Tampa a few months after this horrible crime took place. The police and district attorneys' staff who worked on the case told us the entire terrible and fantastic story, and took us to the house where the crime had been enacted. The police confided to us also that the father, who had been murdered, was by no means blameless, for he had been making these cigarettes and having his son Victor peddle them to the students at the high school he attended. In time, Victor sampled his own product. Then came the quintuple murder. Thus the father, who had sown the wind, reaped the whirlwind. This crime struck home to the hearts and minds of the inhabitants of Florida the terrific potency of marihuana. Many months later we found the memory of this atrocity to be very vivid; the whole state had become marihuana-conscious. Thus a version of the story that varied slightly from the official version now made its appearance. And while this slight variation seems almost insignificant to us today, to Harry Anslinger, this was a great affront, one that would seal Mr. Rowell’s fate. Anslinger was not about to have his favorite Gore File case discredited by anyone for any reason. Many of Harry Anslinger apologists would argue that he was “Just doing his Job.” That the country was in the great depression, and that it simply needed a strong hand to keep things going. Maybe so but by all accounts Anslinger was not a nice man. As stated previously, he was out and out Evil. The Earle Rowell situation provides a specific case in point. Now granted there were a lot of reasons why Anslinger hated Rowell. Probably the most important of which was that Rowell (who had quite a following in the 1930’s) felt that Drug addicts should be given maintenance drugs, while Anslinger felt the solution was to lock them up and that was it. “And although Mr. Hoffman himself was not arrested, . . . . “Through him I learned that the Narcotics Bureau was somewhat more successful in silencing Earl Albert Rowell and his son, who were going about the country in the 1930's giving lectures on the marihuana problem. Mr. Earl Rowell claimed to have made speeches in 40 of the states. His disagreement with the Federal Narcotics Bureau seemed to arise from his disposition to criticize the police for inactivity and complacency and from his contention that official handouts were covering up and minimizing a growing drug problem. . . . 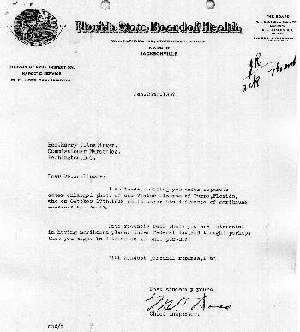 According to Mr. Rowell's reports to Mr. Hoffman, which were forwarded to me, the Federal Bureau and its agents utilized the following tactics against Mr. Rowell: In January 1938 [3D] he was arrested in Wayne, Pennsylvania, and threatened with prosecution on the grounds that the opium pipe and small quantities of narcotics which he used as exhibits constituted illegal possession of narcotics although they had been supplied him by police officers for that purpose. Although there was no follow up of this charge, the Bureau broadcast far and wide that Rowell had been arrested; he was accused of obtaining money under false pretenses, of making a racket of his anti-narcotics campaign, and of advocating programs contrary to the policies of the federal government. In Evanston. Illinois, he was threatened with prosecution for failure to pay an amusement tax, allegedly at the instigation of federal officials who were determined to curb his activities; he was followed and watched on his lecture tour by narcotics agents. Derogatory information concerning Mr. Rowell was sent by wire and by mail to influential persons in the communities -where speeches had been scheduled, causing some of them to be cancelled; when cancellations occurred and -when local citizens made investigations of Rowell after hearing from Washington. Such cancellations and investigations were written up and circulated by narcotics officials to discredit Rowell in other communities. Once more Mr. Anslinger was not a nice man. And he was NOT ABOUT to have anyone challenge his Victor Licata story under any circumstances. These were the views of the White Cross, as well as Mr. Rowell’s, mention of which can be found in numerous books and articles that he wrote. He saw this as a way to reduce crime caused by the high cost of illegal drugs, as well as a way to reach out to addicts that might want to end their addiction. However, this viewpoint was in total contradiction to that of Harry Anslinger, who believed that the way to solve the drug problem was to round up the addicts and lock them up --- that was it, end of story. Here we will leave it up to the reader to determine which way is best, which is the more logical course of action. PROBLEM: Victor was either 19 or 20 years of age at the time. In addition the police were falsely claiming that he was 21 years of age at the time. [3C] Which would have made it all but impossible for him to have been a high school student. Earle Rowell’s story varied only slightly from that one being given by Harry Anslinger and the DEA at the time. However, it was enough to get Rowell on Anslinger’s radar set, thus led to his downfall. That Mr. Rowell did NOT actually investigate the Victor Licata Incident, but relied solely on what police officials (who obviously had an agenda of their own) had told him about it. Mr. Rowell's book is the first which brings out the fact that there was some kind of Mafia or crime connection to the story. Mr. Rowell may have had an emotional involvement in the case, ---- something that would have clouded his judgment. He simply accepted what the local police had said about the case, without any form of personal investigation. He did not interview Victor Licata, nor did he read any of the local newspaper accounts of the story – which (being present in Tampa) he could have done by simply going to a local public library, etc. He (although probably aware of it), made no mention of Moonshine liquor. He made no mention that Victor was innocent and that the killings were actually done by a serial Axe murderer active in the Tampa area at the time. ALL FACTORS that (despite bringing out the criminal connection), would lead to the Legend of Victor being perpetrated by the narc’s for as long as it did. 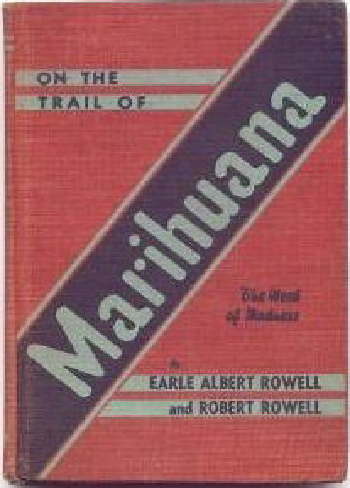 [3D] - Note the date (Jan 1938), meaning that the harassment of Rowell had already began before he had even published his book, On the Trail of Marihuana" (1939).